Following on from last weeks blog post, Hessian for Construction and Art and Crafts, we are going to be taking a look at KBT’s fine range of Arts and Crafts supplies, in particular fabric crafts. We will be exploring fabric dyes, textile paints, textile markers and fixatives as well as some of our craft ready fabrics. Everything you need to get started on your next arts and crafts project. 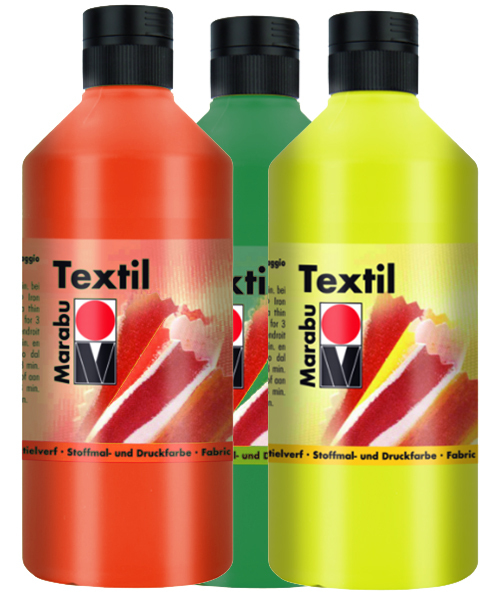 Marabu Textil plus, a fully opaque fabric paint for application to both light and dark fabrics. This is the ideal fabric paint for dark coloured fabrics, but it is also suitable for light coloured cotton, linen, silk, and hessian. Also for Fabrics up to 20% man-made fibre, without finishes. 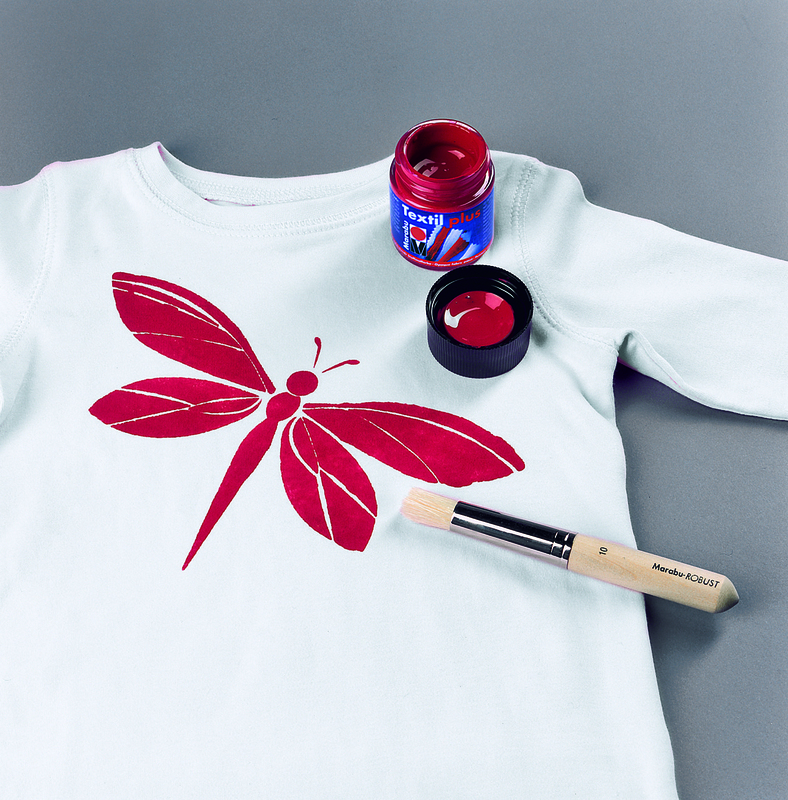 Textil plus can be applied with a brush, by hand or using a stencil. The paint creates a slightly raised, textured surface on the fabric, washable up to 40° after drying. Soft to touch when fixed. Textil plus is water based, making it great for schools, arts and crafts, hobbies and artist use. We stock Textil Paint in 15ml and 50ml size bottles. 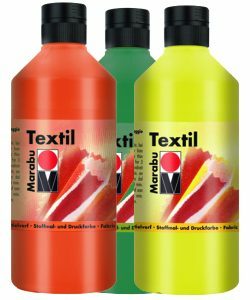 Marabu Textil Fabric paint in a squeezable bottle. 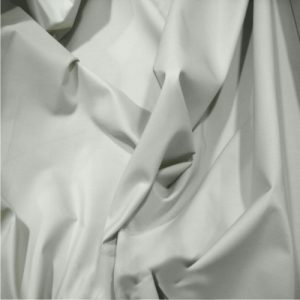 A water based fabric paint for light coloured fabrics. Ideal for schools and hobbies. Marabu-textil is washing machine resistant up to 60°. The fluorescent and metallic shades are resistant to 40°. This paint can be mixed with other colours and diluted with water in order to get the desired shade. Suitable for all non finished fabric surfaces e.g. cotton, linen, hessian, silk, synthetics and blended woven fabrics. The paint is fixed by ironing. Available in 250ml and 500ml bottles. 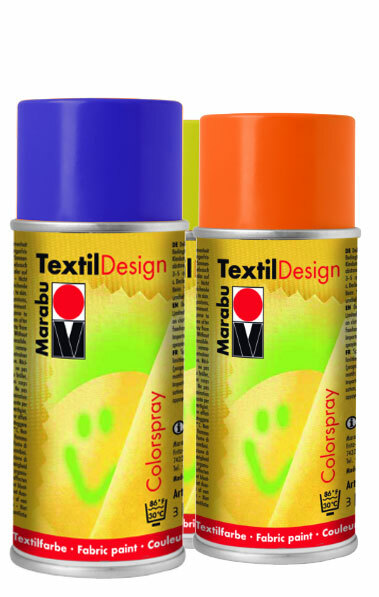 Marabu Textil paint comes in squeezable 250ml and 500ml bottles(source:marabuimagedatabase). Again, a safe, water based paint with excellent opacity. All of the quality of our Textil paint pots but with the ease of use of a pen. Like the Textil Paint, these markers are wash resistant to 40°. Use Textil paints and Textil markers together to create bold outlines around your printed designs. 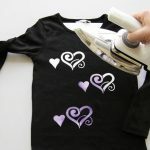 The fabric paint is fixed by ironing or in the oven at 150°C for 8 minutes. 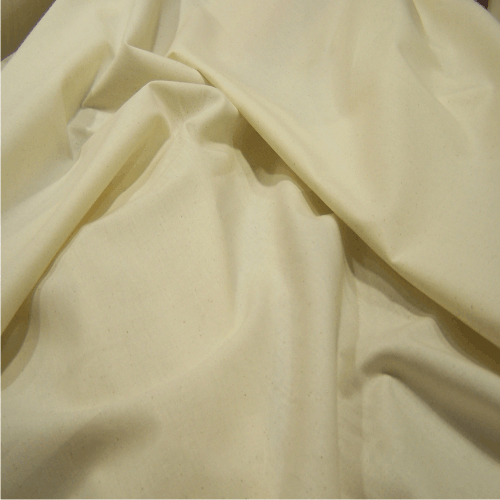 Suitable for most light or dark, non finished fabrics. This product is available in plain colour and glitter versions. Much the same as our Textil markers but featuring two tip widths. Available in 1-2mm and 2-4 mm nib, for extra control whilst creating your masterpiece. 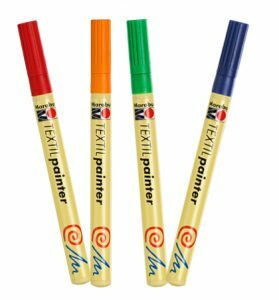 Textil painter pens with a choice of nib sizes. 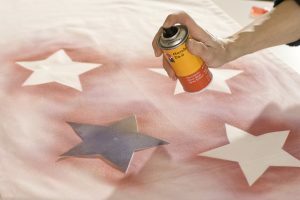 A new spray paint designed for use on fabrics. This acrylic based paint is wash resistant when dry. Wash at 30°C. This spray is not suitable for spraying fabric for everyday wear, rather it should be used for spraying fabrics themselves, for example, stage backdrops, hangings, window dressings and so on. Available in 14 colours and discounted when bought in bulk. Marabu Textil Design Spray 150ml in 14 colours. 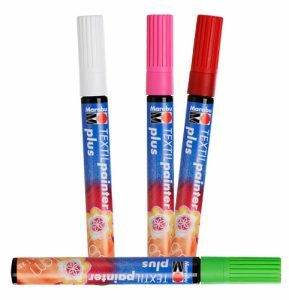 A colourless spray adhesive. Ideal for fixing paper, cardboard and plastic stencils. This product fixes textiles when fabric printing, spraying or painting and makes sure they do not slip while you are working. Just spray onto the stencil, allow to dry and then mount. 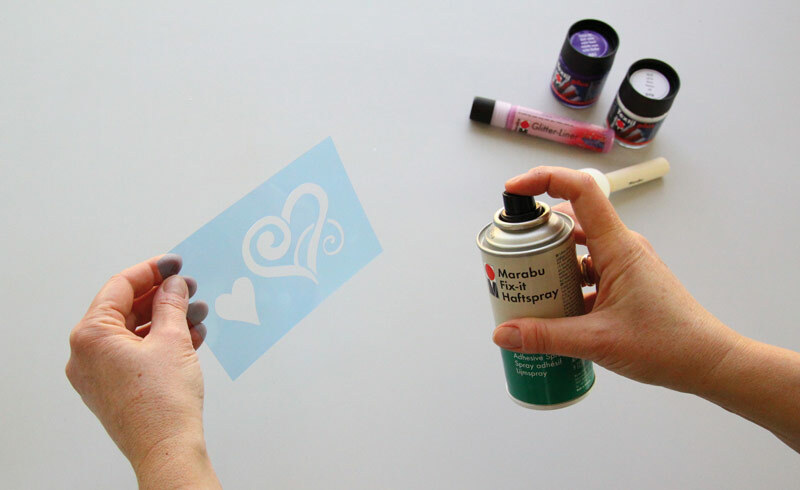 Used stencils can be cleaned with cold water. Marabu Fix-it contains no CFS’s and so is environmentally friendly. Great for use with our fabric paints and sprays. 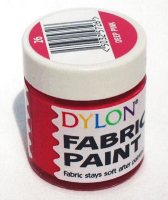 This fabric paint comes in convenient 25ml pots and 13 colours. 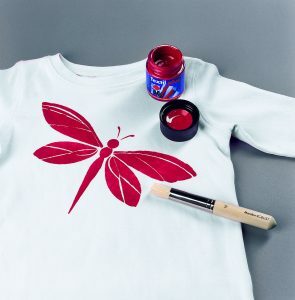 Apply with a paintbrush, using a stencil or paint straight onto the fabric. 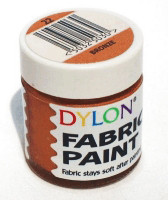 Dylon’s 25ml fabric paint is soft to the touch when dry and is hard wearing. Any design should last the lifetime of your fabric or garment. 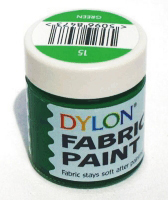 Dylon Fabric Paint 25ml. Create stunning designs on fabric with this popular hardwearing paint. Ok we’ve given you the lowdown on our products for arts and crafts, now its time to check out some of our ‘paint ready‘ fabrics. Cotton is ideal for painting. The fabric has a dense weave, reducing seepage of the paint and ensuring bright and bold colour-if that is what you are after. 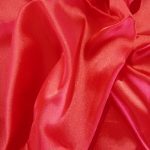 Our cotton fabric is standard 150cm width, we also sell in 270cm, kbt3391, wide width, making our cotton ideal for shop displays, stage displays and hangings. PolyCotton Drill, product code:HT002. This fabric is ideal for painting onto. It features a dense weave and is slightly thicker than our standard cotton fabric. The width of our drill fabric is 150cm. Drill fabric, thicker and heavier than standard cotton. Densely woven, this fabric is ideal for the application of fabric paints and sprays. 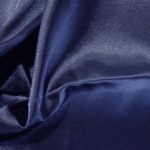 Our quality satin comes in two sizes, ideal for draping and hanging and of course, painting onto with our fabric paints and sprays. Standard width is 150cm, product code KBT2990 and wide width of 270cm Fire Retardant quality, code KBT4692. This satin will look fabulous in a shop window setting or as a stage background. The wide width is very popular for covering and draping over large areas. Imagine black or navy satin with stenciled stars as a quick and easy window dressing. Our standard width comes in 23 colours and the wide width in 9 lush colours. We are one of the largest stockists of hessian fabric in the UK. We supply for the construction, horticultural and home markets. 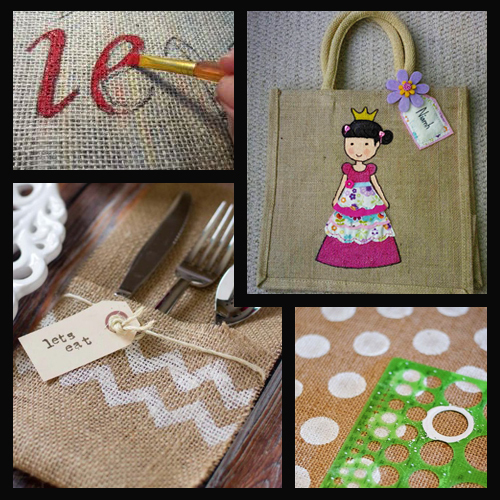 Hessian is one of our top sellers and is a firm favourite with arts and crafters. A cheap and cheerful fabric, hessian is ideal for using with our paints and sprays. We stock hessian in 90cm and 150cm widths, with bulk discounts on orders of 50 metres or more. Fire retardant, laminate and self adhesive backings are available. Our hessian is ideal as a budget window dressing fabric. Available in many colours. 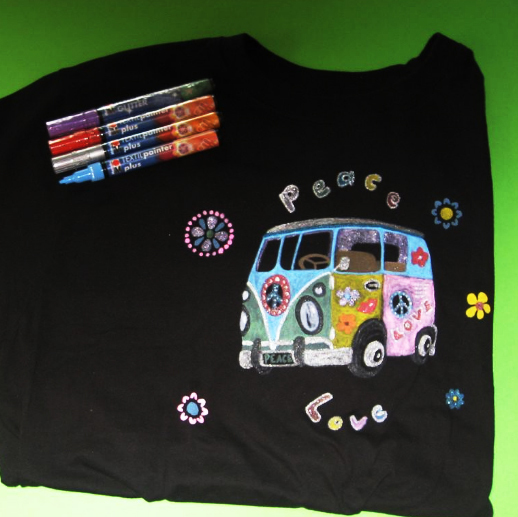 Our fabric paints are excellent for decorating hessian, fabric pens for creating bold outlines. 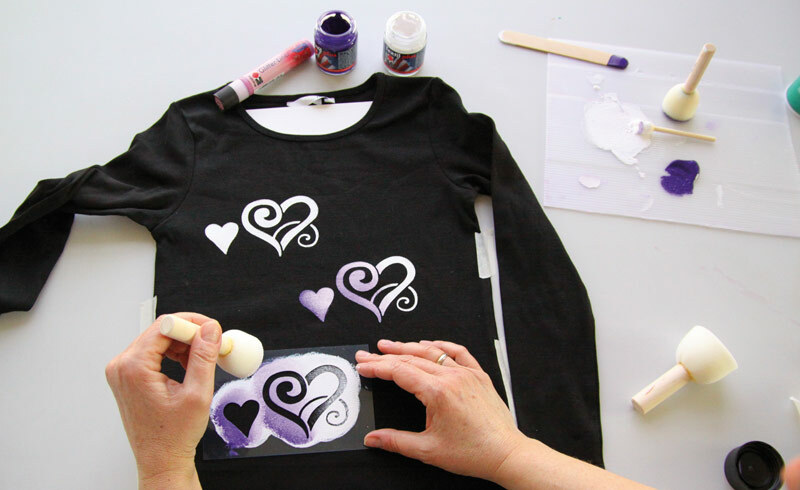 Use stencils and let your imagination go. We stock a range of canvases and calico fabrics, ideal for artist, shop window dressings, etc. Artist Canvas kbt2806. This fabric is 100% biodegradeable, cotton duck. 12oz per sq yard. An ideal fabric for both artists and hobbyists. 150cm wide. Canvas Hopsack kbt295, again 100% cotton ideal for painting and spraying. The weight of this fabric is approximately 10oz per metre and 140cm wide. Canvas Hopsack, ideal for painting and spraying, heavier weight fabric 140cm wide. Heavier 15oz Loomstate canvas, product code kbt3521. This fabric has a natural finish, ideal for backdrops, shop window dressing and of course arts and crafts using our paints and sprays. Go green and create great, natural looking projects with our unbleached, bio-degradeable, suzler woven, Calico fabric, kbt293, width 150cm. This traditional English fabric has untold uses including dressmaking, arts and crafts, upholstery. Accepts dyes easily. 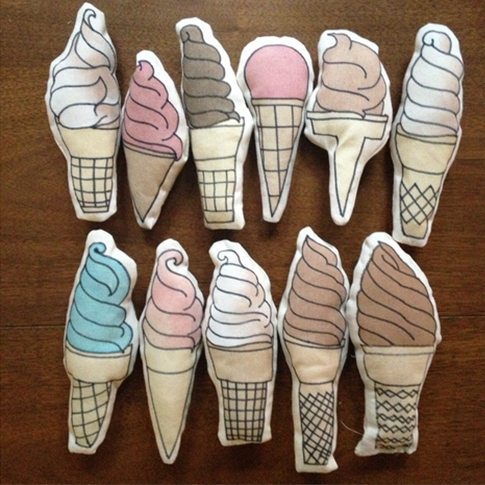 Natural looking projects with our unbleached Calico fabric. 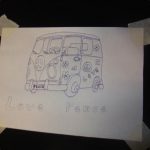 Now you have seen our fabric and arts supplies it’s time to start getting creative. Follow our tips below and avoid some of the pitfalls of painting and spraying fabric. 1) Choose your fabric. 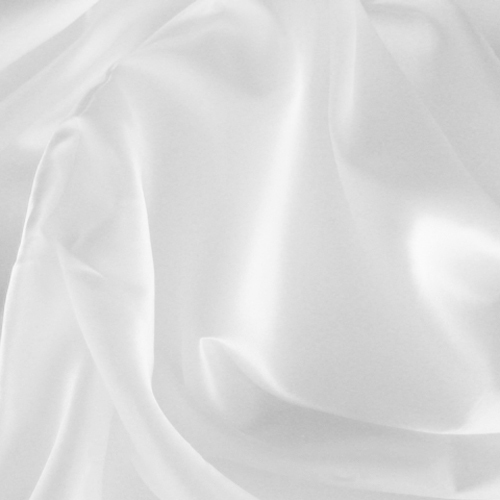 100% Cotton is highly recommended or fabrics with a tight weave such as silks and rayons. For a rustic look try hessian. 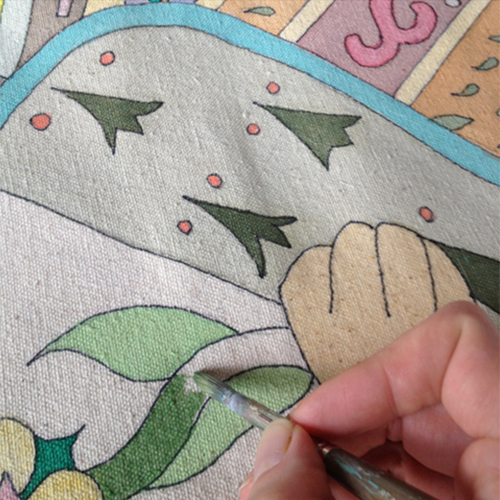 Paint will look brighter on a more tightly woven fabric than it will on a loose weave. This is because paint seeps through loosely woven cloth. 2) Always follow the instructions on the paint packaging. Pay attention to directions regarding the type of fabric the paint is suitable for. You may have to pre-wash some fabrics to remove any sizing(gloss or protective filler) added in the production process. Test whether your fabric needs washing by applying a small amount of water directly to the fabric, if the water beads then you will need to pre-wash. Pre-washing will also give the fabric a chance to shrink before decorating. If you do need to pre-wash then do not use a fabric softener. Softeners will introduce more chemicals to the fabric instead of stripping them away. 3) Prepare your workstation. Ensure to cover the table or bench with a cloth or old newspaper. 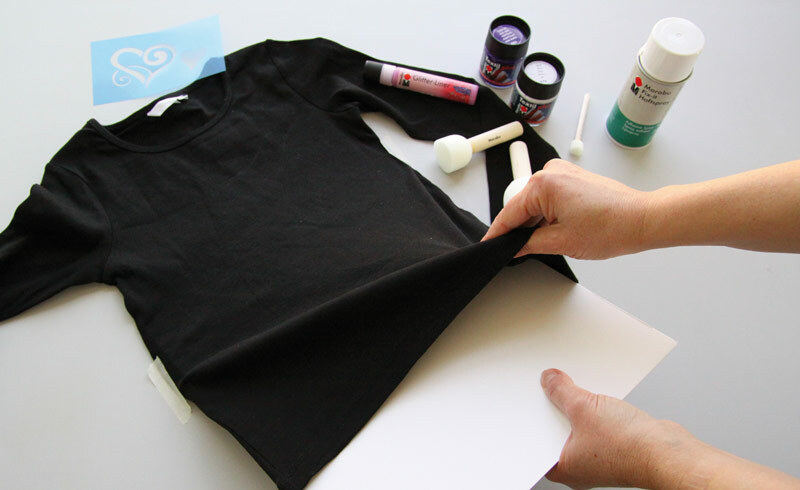 If you are painting T-shirts place a piece of cardboard inside the shirt to stop paint from bleeding through from the front of the shirt to the back. Do not double fold your fabric before painting onto it, make sure the fabric is laid out in a single layer. Try to remove as many wrinkles and creases as possible to ensure your design looks its best. 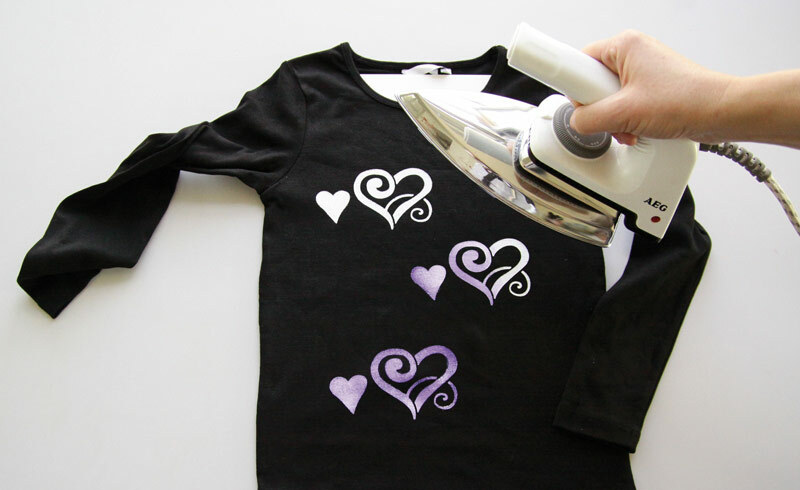 If the fabric can be ironed then this is a good idea. 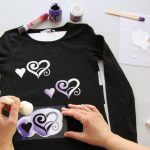 4) Paint onto a small sample of the fabric to see if it covers properly and is suitable for the type of fabric you have. If possible cut a small square of the fabric and test your paint on this before applying to the rest of your material. 5) If you are using paint then squeeze or pour some of the paint into a bowl or dish. Dip your brush and remove any excess paint on the side of the dish before applying. If you are using fabric pens then you can draw straight onto the fabric. 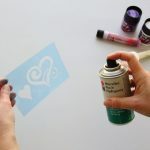 For stenciling, use a spray adhesive to hold the stencil in place while you work. For stripes you can try painters tape or masking tape to get the straight edge you need. 6) Be creative-apply paint with plastic cups for circles, use the top of the cup to create rings, try a pencil eraser for small polka dots. Wetting your fabric will encourage paint to flow and will create interesting, abstract effects. Ensure your fabric is only damp, not soaking wet, as this will dilute the paint. 7) Applying fabric paint whilst using a stencil works best if the paint is applied with the fabric lying on top of a lightly padded surface. An old towel under you fabric is ideal for this. 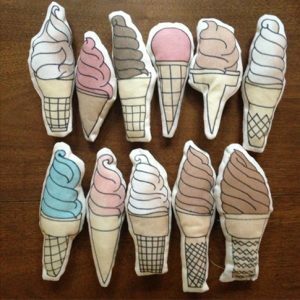 8) If you are planning to use more than one colour then allow the first to dry. Follow the instructions on the paint, you may have to use heat from an iron or bake the fabric in an oven. Make sure the paint is properly dry before moving or turning over the fabric. So there you have it, a round up of some of our best selling paints, sprays and fabrics for Arts & Crafts.